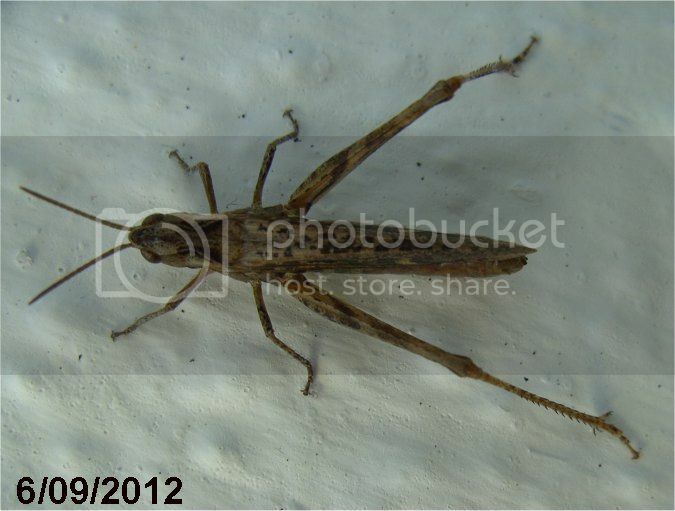 Posted: Thu Sep 06, 2012 1:47 pm Post subject: Insect identification. I saw the following insect outside my door and can't name it. I used see them in the bog 50 years ago. I don't think it's related to me. Are you sure it's not your Grandad, Fly? Looks like a common field grasshopper to me but I'm no expert. I might get a DNA test. 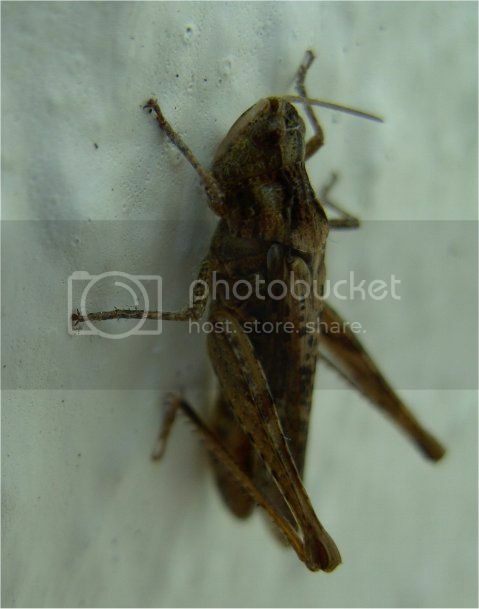 Bottom picture is common field grasshopper presume top is same fellow. It certainly does look like a grass hopper but I don't know enough about them to say which one. I went to an insect physiology lecture last summer, it was probably the best lecture I've ever been at so I do know some interesting but disturbing facts about the little fellas. That's no good for identifying them though.